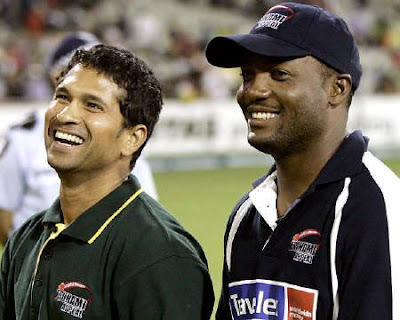 Legendary West Indian batsman Brian Lara paid tributes to Little master SachinTendulkar saying that the Indian batting maestro was the most deserving batsman to break his world record and become the highest rungetter in tests." I was quite happy for him.There is no better player in the world that could go past you than little master. Sachin Tendulkar has been a great for so many years and is someone who is deserving of such record.So i just want to wish him the best. Lara said he was never in doubts that his 11,953 run mark in test would be bettered following his retirements. " I knew its going to be definetly broken. I think my imprompt retirement made it more availble for other batsmen. I mentioned it a couple of vyears ago when i went past Allan border's record that it was a record that i would always cherish.